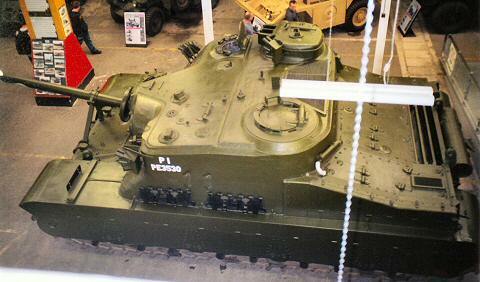 Note that this is a different vehicle to that currently on display at Bovington, and has some distinctly different features. It was probably destined for the ranges. 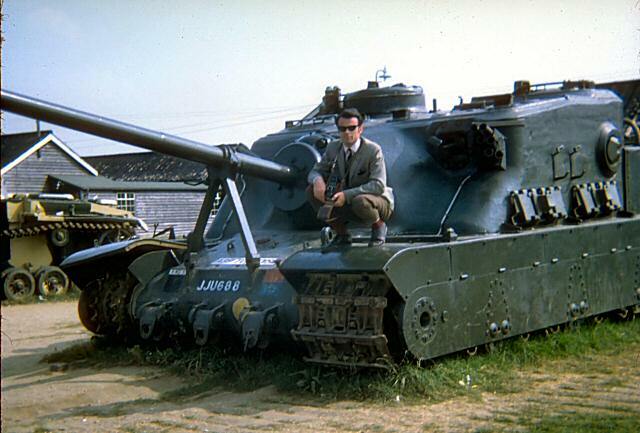 Tortoise might be regarded as the British answer to German monsters such as Jagtiger and King Tiger, but the concept seems to date back further to designs such as TOG. 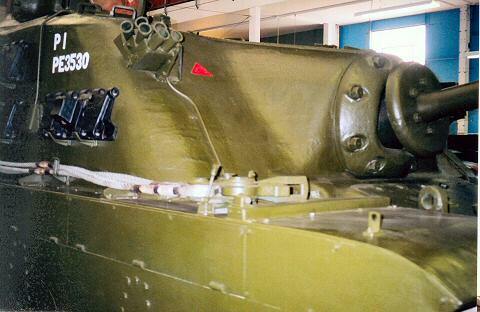 Even so, Tortoise was designed to be immune to all existing German anti-tank guns and had the largest gun (32pdr) on a British WW II AFV design. 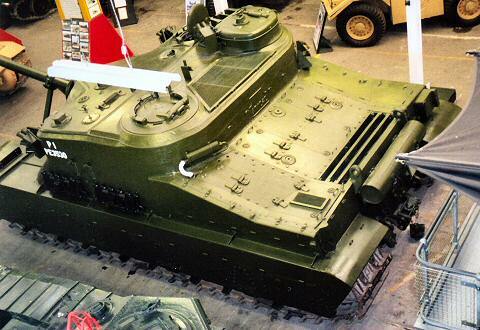 It was intended to be delivered in 1945, but in the event the first of six vehicles was delivered in 1946-7, by which time there was no further interest in the development of this cumbersome and heavy vehicle. 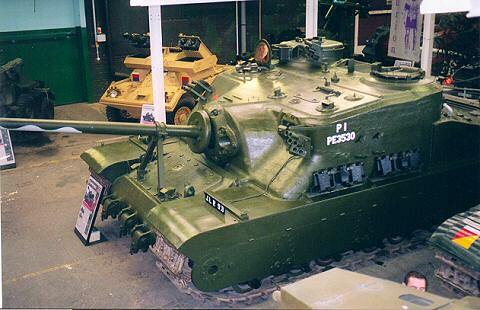 The pictures below are of the first pilot model currently on display at the Tank Museum, Bovington. Traverse: 20° right, 20° left. Special features/remarks: Six pilot vehicles only, all completed postwar. 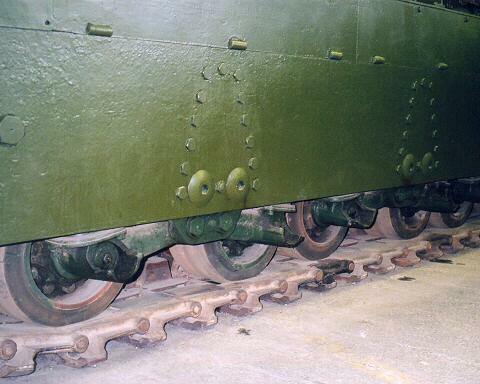 Detail differences in individual vehicles included slight variations in superstructure shape and the addition of smoke dischargers in some. Driver sat in right superstructure front. 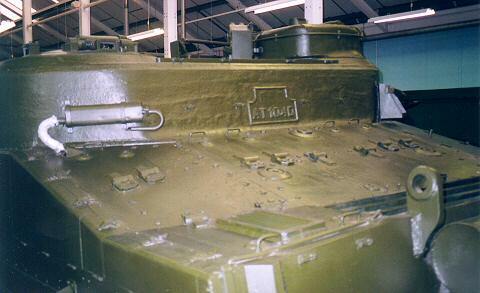 Independent machine gun turret on roof with two Besa guns. 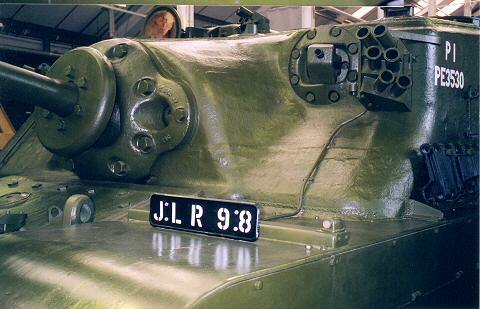 Muzzle velocity of 32pdr gun was 3.050ft/second; largest gun fitted to any British AFV of 1939-45 design.